**seeing–unless our vision is reduced, diminished significantly, or gone? 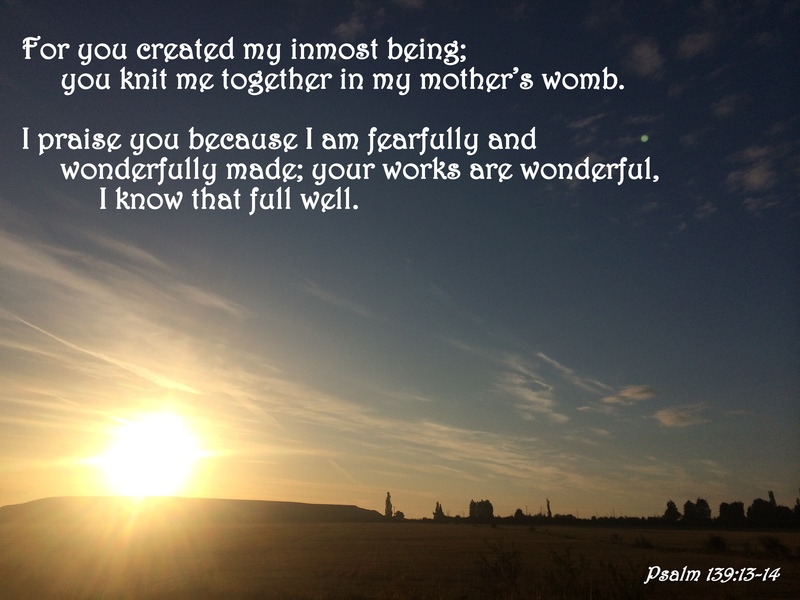 His gifts to us, just in the creation of our own being, are beyond what we can comprehend. 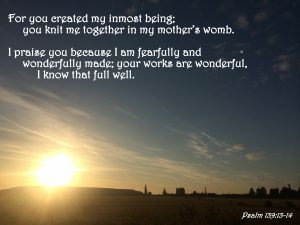 Even when impairments occur within our mortal forms, there is so much wonder in how we have been “knit together” by God that we should always be in awe. We can–and must–daily appreciate, in wonder and gratitude, our created existence in all its complexity and simplicity from our Father, our God, our Creator.